Zip Line Park – why aren’t we doing this in Canada? Today we returned to Pratolino, not for more tortello – we tamed that beast. When we were wandering around Dimidoff yesterday, we saw an eco park at the one end of the parking lot. We walked into the woods to investigate and found a zip liner’s dream. 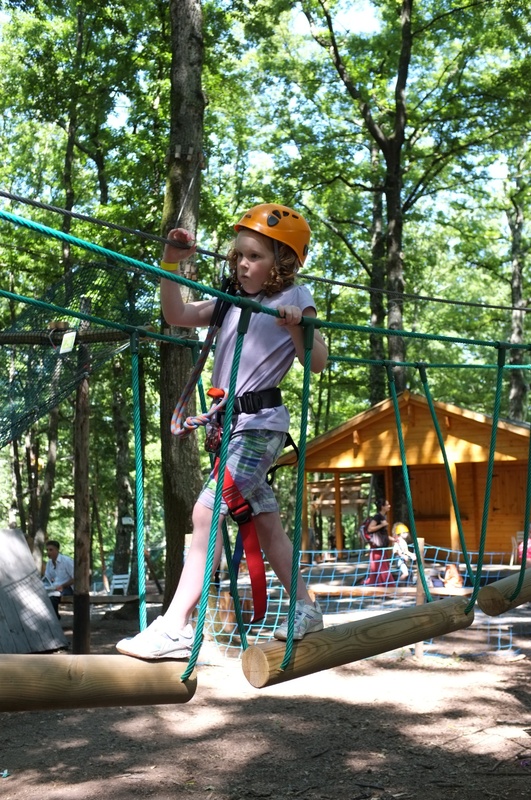 The park is called Albero Vivo Adventure Park and is between Pratolino and Florence. 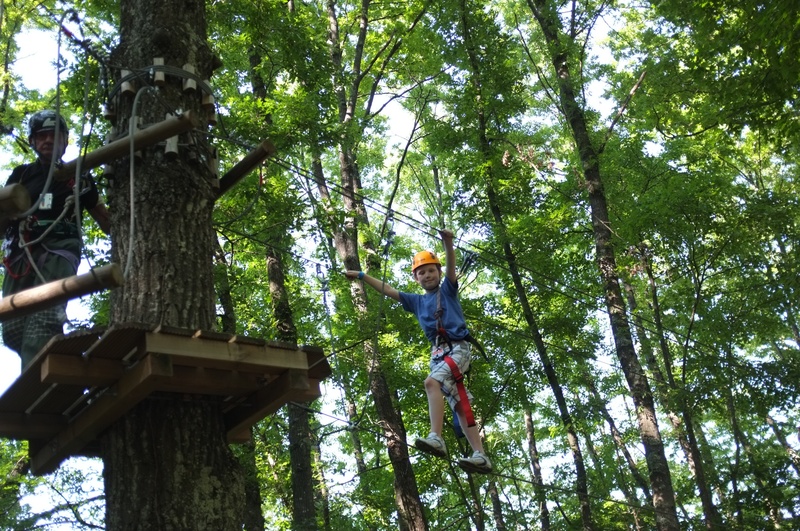 It is set in a forest of deciduous trees that have been pruned and felled to create an amazing series of zip line courses for all ages levels, beginning at 3. We suited up post haste. Each course has a number of legs to travel through. You attach your safety harness at the beginning of each segment and make your way across the line to the next level. Once you are through all of the levels, you then zip line down to the end of the course and then choose another one to try. It was fantastic. 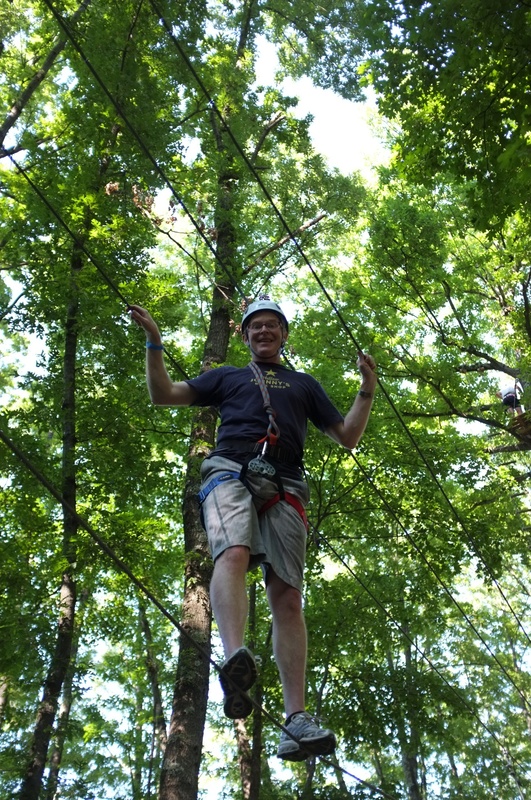 They have things like tarzan ropes that you swing across to get to the next level, walking across a line to get to the next tree, all sorts of inventive and creative ways that challenge your sense of balance, while being completely safe. 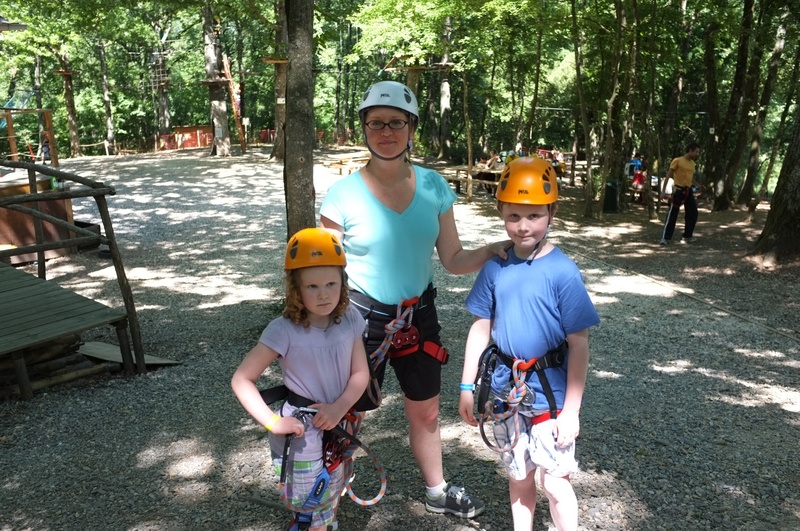 1 Response to Zip Line Park – why aren’t we doing this in Canada? We found zip lines in Madtinique and St. Martin. Loved them!